The Institute of Mathematics and Mechanics (IMM) named after N.N. 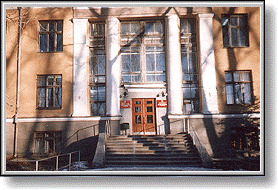 Krasovskii of the Ural Branch of the Russian Academy of Sciences (UrBRAS) and the Ural Federal University (UrFU) named after the First President of Russia B.N.Yeltsin are organizing the Second International Seminar "Control Theory and Theory of Generalized Solutions of Hamilton-Jacobi Equations" (CGS'2015) dedicated to the 70thanniversary of Academician Andrei Izmailovich Subbotin. It will be held from April,1 to April, 3, 2015. The seminar will take place in Ekaterinburg. The city of Ekaterinburg is one of the largest administrative, industrial, cultural, and scientific centers of Russia. It is situated in a picturesque area of the Urals close to the border between Europe and Asia. It is planned to discuss the present state of control theory and theory of generalized solutions of Hamilton-Jacobi equations. Scopes of the seminar include the following topics. · Generalized solutions of Hamilton-Jacobi equations. · Numerical algorithms for constructing solutions of optimal control problems and boundary value problems for Hamilton-Jacobi equations. The seminar program is expected to include plenary reports (30 minutes), session presentations (20 minutes) and posters. Some of plenary reports of foreign participants will be held via videoconference. The working languages of the CGS’2015 seminar are Russian and English. Publication of abstracts of the seminar is being planned.